It looks like Amazon has decided to respond to the launch of the new Chromecast Audio and Chromecast 2 earlier this week by taking the low road. Reports are coming in from Reddit (which have been confirmed by Amazon) that the retailer has banned marketplace sellers from listing the Chromecast, Nexus Player, or Apple TV. Earlier today one such seller reported on Reddit that he had received an email which informed him that the hardware was effectively banned from Amazon.com. Over the last three years, Prime Video has become an important part of Prime. It’s important that the streaming media players we sell interact well with Prime Video in order to avoid customer confusion. Roku, XBOX, PlayStation and Fire TV are excellent choices. Wow. I honestly would not have believed this story, but there you have it. Amazon is interested in selling as much junk as possible to as many people as possible, so you would think they would want to continue selling streaming devices even if they don't work with Amazon's services. But that is no longer true. While some hate this decision and say that Amazon is being a jerk, there's a bigger story here. Amazon has just shown us that the streaming media market matters more to Amazon than device sales. Online video is now worth enough money to the retailer is willing to take a hit from bad publicity just to drive a point to device makers. Edit: And here's the question I forgot to ask, but TechCrunch didn't: Why did Amazon not develop an app for the Apple TV and the Chromecast? 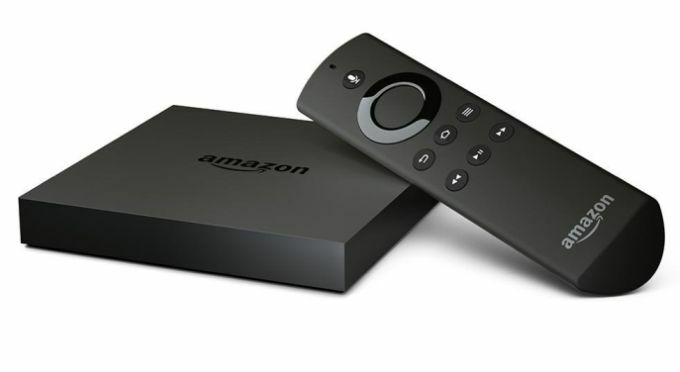 After all, Amazon did develop the Amazon Video apps for Android, iOS, and other platforms. Amazon is saying that if a streaming media device doesn't support Amazon's video store, it can't be sold on Amazon.com. Now that is playing hardball, but more importantly: How long do you think it will be before Amazon pulls a similar trick with competing ebook readers? I don't think Amazon sells enough non-Kindle ereaders for it to matter, but it would be the logical next step. Probably because the Chromecast competes directly with their Fire TV stick, and the Apple TV was made by a particular company that masterminded the imposition of agency pricing on them. Roku has a stick and a box that competes with the Fire TV. Also, all the now-banned hardware was available before the Fire TV, and yet Amazon never developed an app for them. I’m not saying you’re wrong, just that there’s a lot we don’t know. Don’t both Google and Apple require certification of apps for their streamers? Do you know that Amazon *hasn’t* developed Prime Video apps for them? Might be a payback aspect here. I couldn’t raise that in the post without coming across as an Amazon partisan, but that is a distinct possibility. As for Amazon cracking down on competing e-readers, I doubt that’s likely because the cases really aren’t parallel. Competing e-readers really aren’t any threat to the Kindle’s dominance; indeed, there simply aren’t that many competing e-readers anymore. But Amazon doesn’t rule the roost in the same way when it comes to streaming video services, so it has to look after its own. There’s been a lot of bad blood between Amazon and Apple, Google. Roku and Kobo have played nice. Can I buy a Kobo H2O or a new Roku gadget and have the order fulfilled by Amazon on two-day Prime? Yep. What goes around, comes around. If anything this shows how desparate they are to push their own hardware. Or at least to deliberately harm certain competitors in the hardware space. As to hardware sales: you folks do realize that the Fire TV and Fire TV Stick are outselling Apple and Chromecast, right? They’ve been around longer and Apple at least has a bigger installed based but despite the headstart, Amazon will probably pass them some time early next year. I don’t think this is about hardware at all. Nah, I don’t think so. There isn’t a doubt in my mind Amazon wants a video player on those platforms. Think Apple’s 30% vig has anything to do with AIV being AWOL on Apple TV? Could be. A Kindle app with no store is one thing but there are a lot of serendipitous purchases that would be lost if there was no store on the video app. Bezos would prefer to burn in Hades as to fork over that vig. Google may have a similar situation, don’t know. If they make a deal to get a video app on Apple/Google, IMO the ban will be gone. If they can make a deal with Roku they should be able to make one with either Apple or Google. Ideally. I don’t think they care about competing with the HARDWARE. It’s the service. Buy Prime. Buy movies form me not Google Play or Apple iTunes. Roku has an Amazon app and doesn’t sell a competing SERVICE (not hardware) directly to consumers. I’m not sure what you mean. Amazon is already competing with Apple’s service Amazon has the video app on iPad/iPhone, and Apple sells videos on that platform. I have the Amazon Video app on my iPad, so that can’t be it. The top two streaming platforms are XBOX and PlayStation, Both also have competing video and music services. Amazon has no problem with either. Nor do they have an issue with Roku or the generic Android streaming boxes. Or with the Nvidia Shield, sold by Amazon itself. It may very well be about the vig. Or the unwillingness to carry Prime at all. But I seriously doubt it is about the hardware because Amazon has a better product anyway. Can you purchase on the iPad app? I can’t remember. There must be a reason Amazon doesn’t have an app, even if it is not that one. They want an app or they wouldn’t have made the statement they made. @ Tim The Amazon Video app can’t sell me anything, no. It has the same limitation as the Kindle iOS app. @ FJTorres The Playstation platform sells videos, yes, including original content. Nate, what’s the difference in this one? Not a wholesale ban, it seems. The ban doesn’t come into complete effect for a while. No new listings are allowed, and current listings will be pulled on 29 October. Nate, where did you get the “official statement” from Amazon? Does Amazon have it posted or did someone reliable get this email? I got it myself, from Amazon PR. This was the kind of story I wanted confirmed before I accepted it. Really, I couldn’t find a source for it other than the Bitcoin enthusiast on Reddit. That link with the confirmation from another Reddit user wasn’t particularly helpful. The restrictions link for the Chromecast reads exactly the same as the one for the Firestick listed below it. I just tried it on the Amazon “sell” page to confirm. Bloomberg posted a variation of the statement, but I posted the entire thing. TBH I was surprised that anyone posted this without confirmation, and that they didn’t also post the statement from Amazon. This is one of those stories that is almost too good to be true. It could readily have been a hoax, and I really thought it was fake at first. Why all the concern? I know that Bezos and Amazon are my friend so I know that Amazon is doing this to protect me from unscrupulous monopolists and wannabe-monopolists. I can rest assured that I will not accidentally by an inferior product or be locked into a particular platform, because Bezos is my guardian angel. Or at least that is what I have been told for many years now. Praise be Bezos! AFTVNews is speculating that it is, in fact, because of the 30% vig and that by disabling the ability to purchase content, it cripples the app to the point it becomes not worth developing. The article goes into in depth reasoning that makes sense – although I don’t necessarily think that removing the devices from Amazon will be effective and may only hurt Amazon and its customers. People who want AppleTV or Chromecast can find many ways to buy them. Thanks for the link, but he’s partially wrong on the point about the vig. Amazon has two apps in Google Play (Kindle, Comixology) and doesn’t pay the vig on either. Also, there are a bunch of other ebook apps (Nook, Kobo, etc) that are also in Google Play without paying the vig.